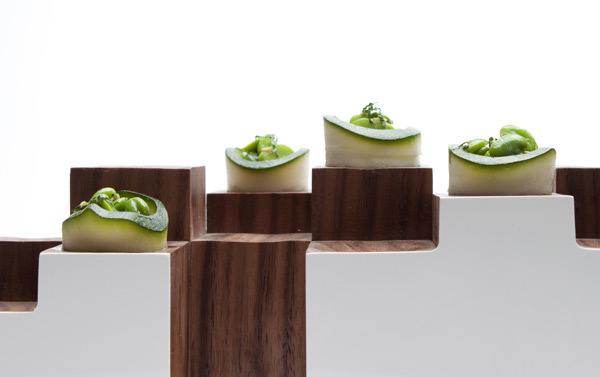 Fava Bean and Mint in… Cucumber maybe? 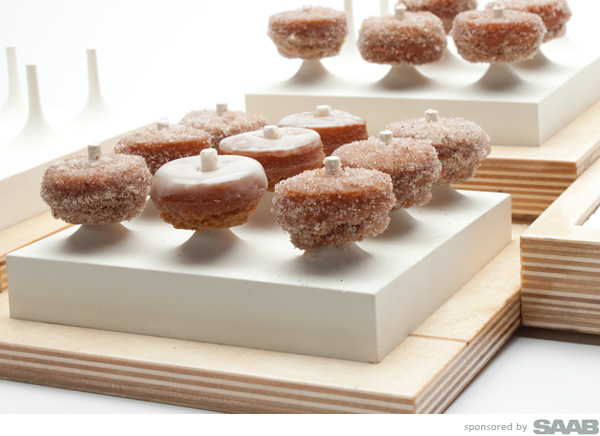 Each on their own pedestals of sorts ~ love the mix of wood and white for this Walnut Matrix. 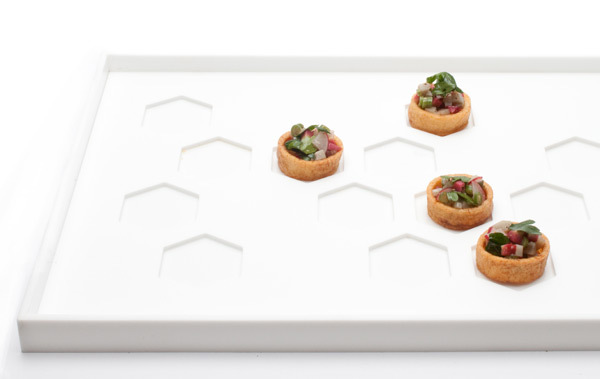 Nicoise Salad in a tray complete with honeycomb cut out insert to keep them from slipping about! Spin! 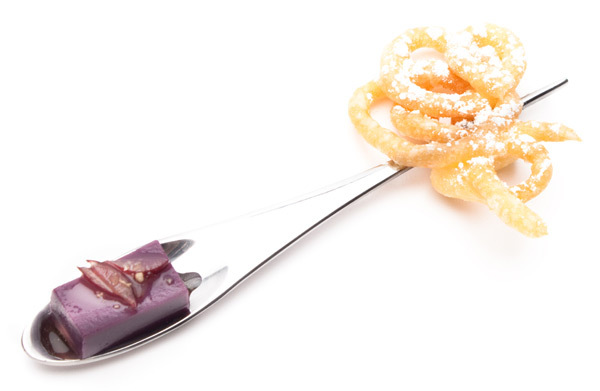 Peanut butter funnel cake on one side, concord grape panna cotta on the other! 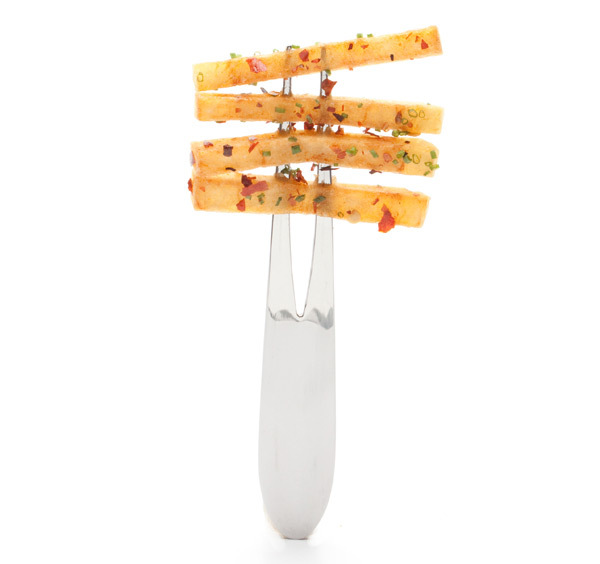 Spicy truffle fries on the Pinch Fork!